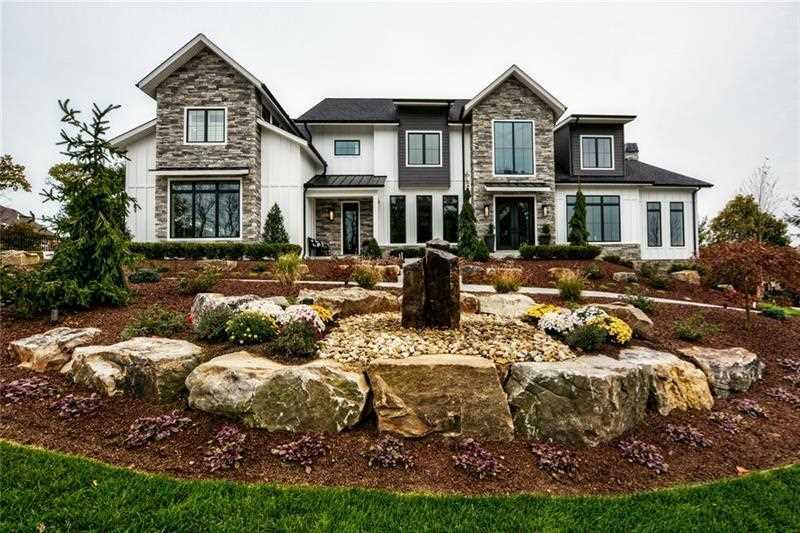 BARRINGTON HOMES PRESENTS SPECTACULAR SPEC HOME! Modern Farm House Exterior Design with Vertical Board and Batton Hardie Plank, Natural Stone, 8' Tall Double Iron Front Doors, Metal Roofs and Cable Accents, magnificent Landscaping and Governors Drive! SMART HOME! Cathedral Kitchen with Stained Ceiling Beams features a 48" Pro range, 2 Dishwashers, Apron Sink & Apron Prep Sink, Custom Hutch & Bar area, Climate Controlled Glass Wine Closets, Walk in Narnia Pantry & Two Islands. Dining Room with Shiplap accents. Den with Built ins, Faux Brick Accent Wall & Iron & Glass Barn Doors. Large Owners Suite with Stained Ceiling Beams, Barn Doors, Stone Fireplace, Coffee Bar & Private Deck. Spectacular Custom Closet. First & Second Floor Laundry. Finished Basement with Theater Room, Walk Behind Wet Bar w/Barn Wood accent wall, Exercise Room and Game room with fireplace . 32' Covered Patio with Sky lights, Stamped Concrete, & Outdoor Kitchen. Huge Flat Backyard w/room for a pool & much more! Directions: I79 to Wexford Exit, 910 East, Left to Lyndhurst Circle, Left to Whetherburn Dr., Left on Wynstone, Right to Ridge Court. Home on right. Listing provided courtesy of Howard Hanna Adams Twp/Seven Fields Office. I was searching for a Property and found this listing (MLS #1377190). I would like to schedule a showing for 502 Ridge Ct Wexford, PA 15090. Thank you! I was searching for a Property and found this listing (MLS #1377190). Please send me more information regarding 502 Ridge Ct Wexford, PA 15090. Thank you! MLS # 1377190: This property at 502 Ridge Ct, Wexford, PA 15090 is located in the subdivision and is listed for $1,975,000. MLS # 1377190 has been on the market for 95 days.